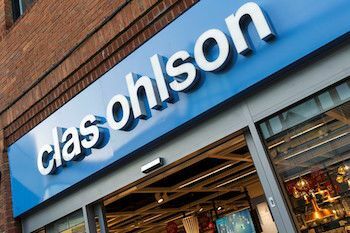 Swedish hardware retailer Clas Ohlson has confirmed it will be closing seven of its 13 UK stores. Calling it the "next step in the optimisation of the UK store network," the retailer will shut stores in Cardiff, Norwich, Doncaster and Watford, putting dozens of jobs at risk. The stores, according to the retailer's ceo Klas Balkow "have not met expectations in terms of sales and profitability." Mr Balkow added: "Our commitment to the UK market remains solid. It is our intention to continue our expansion by adding new stores in the London area." Only five store closures have been confirmed so far, with Cardiff and Norwich the first on the chopping board in June 2016. Doncaster will follow in September and Watford will close no later than March 2017. The store in Croydon is closing as a consequence of the redevelopment of the shopping centre. The remaining two store locations are pending closure subject to negotiations. Mr Balkow added: "We will do our best to support affected employees in finding new employment opportunities, including offering job openings in other Clas Ohlson units where possible." The retailer confirmed that following the opening of the new smaller format stores in St Albans and Ealing earlier this year, the plan is to open an additional one to two stores in the London area during the 2016/17 financial year.